Interested in earning a few merit badges? Here at Deep Blue we currently offer four different badges with an approved merit badge counselor. One of the requirements for it is to obtain an Open Water certification – we can do that! This course certifies you to dive down to 60ft/18m for the rest of your life! You also have to obtain scuba specific First Aid and CPR training – we can do that too! Not only will you complete a new merit badge, but you will also obtain a new outlook on the world and a unique life skill. Must have previously completed the Swimming Merit Badge and be at least 10 years of age. 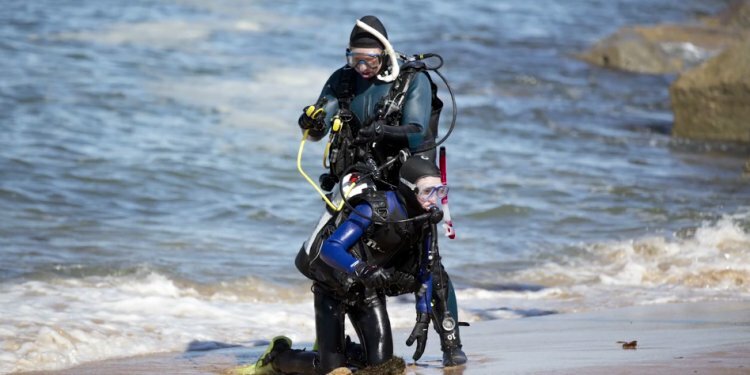 This entire course can be completed in one week’s time and includes two scuba pool sessions, one first aid/CPR session, and 4 open water dives. We know your time is valuable and with our onsite indoor heated pool, your time commitment to finish your certification is one of the shortest in Southern California. This course is priced at $525. This includes merit badge counselor signature, materials, instruction, scuba certification, boat ticket, and rental gear. This price does not include your own personal gear required for the course; fins, mask, snorkel, boots, and gloves. Should you decide to purchase any or all of that equipment with Deep Blue, you will receive a 10% discount on all purchased gear. For groups of 6 or more please call for special group pricing. Whether you just love to swim or can’t wait to learn how to be safer in the water, this course will test your swimming skills as well as inform you about the importance of water safety. We will learn how and practice the various water rescue techniques, as well as how to treat injuries that might occur while enjoying water activities.